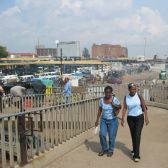 Johannesburg's South Western Township (Soweto) is probably one of the best known in South Africa, largely because of the pivotal role it played in the anti-apartheid struggle through the 1976 student uprisings. It has also been the home of some of our greatest leaders i.e. Walter Sisulu, Nelson Mandela and Archbishop Tutu during the height of their political activity. Today Soweto is a fast-developing urban area, combining hope for sustainable growth and development of our country, with deep concern for current-day challenges, many of which have their roots in our past. Meeting people and visiting places in Soweto with TALK Tourism will give you insight into South Africa's past, a balanced view of our present, and a glimpse of what the future of our country holds. 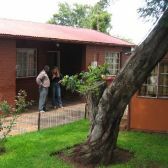 We offer day and overnight Soweto visits. 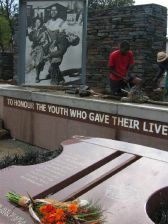 “I enjoyed the in-depth analysis of South Africa during and after apartheid. The guides were well knowledged and conveyed the information to us well”. “This was an unbelievable experience. One that truly shows what life in South Africa for the average person is like”. “The son of the family showed me a night life in Soweto that I could not have experienced on my own. Everyone was so friendly that I never felt so comfortable being the only white person. There was no difference in colour – we were all the same”.